Page 1 of 59 Register or Use the arrow to the right to read the next 58 page(s). This is your new 888 Rep in the CardsChat forums! We'll be around regularly and look forward to helping with all questions and feedback that you have. We love hearing new ideas from the poker community, so send them along! -Depositors additionally get: free entry into the $100,000 First Depositors' Freeroll, free entry into the $1,000 Depositors' Freeroll, and 7 entries into the $500 First Depositors' Freeroll!! We'll also be sure to announce all of our biggest promotions right here. Our main one right now is our Live the Dream freeroll tournaments that are running until 20/10/2014! -Everyone has received 2 free tickets to the freerolls! Just check your account! -Winner Dream Packages let you select an awesome package of your choice from 4 categories: High-Adrenalin, Holiday Getaways, VIP Sport & Music, and Gadgets & Gizmos. See you on the tables! 888 shop - System is busy? but every time i attempt to log in it always says system is busy? Just wanted to see if anyone is having the same issue? Sir everytime I login my 888 account a scripting error appears and 888 client stops working. I have to restart my router then it starts working after that. How to rectify this prob. Can you PM me your username and which web browser you're using and also the exact error you're receiving? We'll look into it and get back to you right away. Sorry about that -- we are aware of this issue and are working on fixing it. Can you PM me your username so we can look into it further? My browser was reason of my problem. Now there is no problem with login and all promotion banner are also displayed. Good to hear, which browser were you using and which did you switch to? I was using Internet explorer 8. I upgraded to Internet explorer 11 and latest adobe flash player. Support wont email me my hand hisories they keep sending spreadsheets or a generic we dont allow data mining emails. 2nd Think you are really one of the best sites for rec. players, good promo's! When does the schedule comes out for the XL series? Only saw the main event listed. Hi, was wondering how to auto top off with my stack in you're cash games? In you're games setting,i only could find auto top off for the tournys. I agree with MOD, you are the best site! geeeeeeeeeeeeeeeeeeez first it is client doesn't write hand histories properly, can't use pt4. Find 888 client that writes them properly and quickly realize this one makes me update every single time I open it..
yeah yeah i know reinstall AGAIN!!!!! sure why the **** not!! The auto top off option for cash games is available when you join a table. There is a check box under where you enter your amount to bring to the table that's called "Auto rebuy options" and you can choose to rebuy when you run out of chips or when you run below the buyin amount. Let me know if this works for you. Sorry about the responses you've gotten. Can you see if you can retrieve the hand histories online in "My Profile --> Game History"? Can you tell me your operating system and software version (the one that is working that is out of date and that isn't working)? Are you attempting to write the hand histories to the same location in both versions? Yeah i've managed to get the client in working order but I still haven't been able to retrieve my hand histories from support . I will check the game history option. Been getting constantly connected over the weekend. What is going on? Any timeline on when this will be fixed? Just stop playing there till they fix it. Party Poker has the same problem, this week 2 of my tournaments ended with server collapse...they reimbursed me tho, that's correct. I'm still having connection issues too. It's really bad when you can see you're being blinded out, but can't log in. downloaded 888 earlier and all seemed well until the lobby loaded and then about 3 seconds later froze and became totally unresponsive and only way to close it was to open up windows task manager and stop the processes. do you know how to resolve this by any chance please? During the past few days we have been experiencing severe networking issues at 888poker. Our technical team is currently working with our technology partners to resolve the issue and we would like to sincerely apologize for any inconvenience this may have caused you. Customers who contacted our 888poker Support Team will receive answers within 72 hours, we are doing our best to handle all open cases and appreciate your patience. There was quite some issues yesterday again.During that Halo-win freeroll. Shortly after start of toournament, I got disconnected and could not log back. When I finally got back, tournament was running again, apparently couple of lucky players connected first and was able to steal blinds from unlucky sit-outs. I was trying to get in, but only got message "you cannot join this tournament at the moment" until I lost rest of chips. Maybe those tournaments should go back to 8000-9000 people at max, I always saw such issues when 888poker started to increase max number of players. Anyway its just a freeroll, so no big deal for me. could you please let us know when the site is back to "business as usual" so that i can try and open up the lobby again and see if im able to sign up please? Also why not open registration just one hour before the start for these crowded but mostly nice guaranteeds freerolls? So that people will reg that actually want to play these and not reg one like 3+ hours in advance to never show up , it will cut down numbers so will take less time to complete and topprizes might be somewhat better cause less entrants , less places paid. I do ask this everywhere , cause it seems not much rooms are promoting PLO. Even more when it is an action game and I think creates more rake as NL. But are you ever considering a PLO promotion? Unfortunately the connection issues were sitewide and not related to large freeroll sizes. We apologize for the troubles you had in this tournament, and are pleased to say that things now seem to be stable on the site. The site seems to be stable and working well now. Please give it a try and let me know if you have any issues. 888 is still having issues. Today I was trying to play the "apology" freerolls because of last Sunday's disconnection issues, but can't log in. Most people are sitting out, so they're obviously having the same problem. It s really not nice. 888 has to work really on its server problems. In the last week they had so much problems and they will lose lots of players , who do not accept the laggs all the time in a tournament. Also, recently i've been participating in the 888 dream package video. I was told the results would've been posted afte 1 week. 3 weeks later still no result and no message about it. Later the winner was announced on twitter but no message to the other finalists about who won. 888poker also said everyone who votes gets a free ticket. Me, and many others never got this ticket. Now in the halloween freeroll promo i got a e-mail i got a free ticket. Never got one. Just some small things, but it isn't giving a nice name to the server. I think alot of the thinking behind holding freerolls is to generate activity on the site. So.... I'm guessing it's more beneficial to the site if there's a larger number of players cashing in the freeroll (fairly flat payout structure too) so that there will be more players filling up the micro buyin games. I can't seem to get an explanation out of support but 888 have removed Skrill as a withdrawal method. The only options I have left are wire transfer and bank draft. As I have never used either of these methods in effect my money is stuck on 888. This concerns me, Skrill is still there as a deposit method so it looks like 888 are restricting withdrawals, why? Skrill is now back, well done 888. Please email support with issues regarding specific tournaments. If you need further assistance after you get a reply from them, let me know. We agree that long times are not ideal -- can you tell me which freerolls you're referring to specifically and I can have them looked into? We have temporarily removed Skrill from the cashier as a withdrawal option while we work to address a technical issue there. You can still use Skrill to deposit into your 888poker account. You can also still withdraw your funds via other methods as long as they support cashouts and are in line with our withdrawal policy (policy here: http://www.888poker.com/banking/cashing-out/cashout-policy.htm). Sorry about the issues you've had here. For specific issues like getting the tickets you were supposed to, please email support, and they should be able to help. We have had more server issues even after it seemed that it stabilized. This is absolutely the top priority to fix as it is not good for any parties involved, so we are working on it with all of our effort and apologize for any difficulties you've had. We are excited to announce a $3,000,000 guaranteed tournament series + $200 reload bonus! 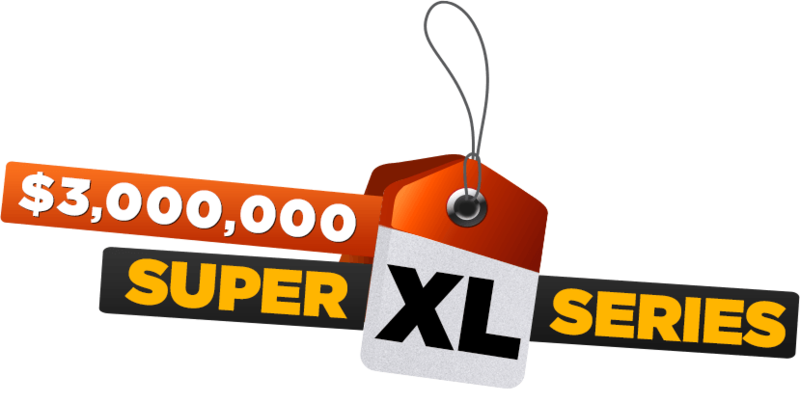 The 888poker annual Super XL Series is back -- BIGGER and BETTER than ever before. The http://www.888poker.com/poker-promotions/xl-2014.htm will have a $1,000,000 guaranteed main event and a host of other events for every bankroll! http://www.888poker.com/poker-promotions/xl-2014.htm for more details of this exciting series. To add more value to the http://www.888poker.com/poker-promotions/xl-2014.htm, we are also offering you a 100% up to $200 reload bonus. To take advantage of this, on your next deposit insert HALLBONUS into the promotion code box. You have until Sunday (2nd November) at 11:59 GMT to take advantage of this special offer and up to 30 days after your deposit to wager. For every 100 BPs earned you will get $10 straight into your bankroll. You can track BP progress in the left hand side of the lobby. 888poker's http://www.888poker.com/banking/bonus-policy.htm applies. 888 rep. I was sent an email and told I have $5 as a birthday present and to "click here" which I did. The page froze for a while, like maybe 5 minutes, so I clicked again, and another page popped up saying "you have already received this bonus" then the froze page unfroze and said "you have already received this bonus". I logged in to my acct. and chatted with support and they told me I have been credited with the bonus. In my account is a total of 5 cents. Support insists it has been credited. Isn't it a $5 freeplay in the casino? I got nothing on my birthday not even the email. But I think same thing you can apply on these XL freerolls. I got 2 tickets to the Super XL freerolls that are played 3 times a day. I used them. Usually 888 Poker sends us an email for a mission to accomplish or a deposit to be made to get new tickets. But now nothing! How can I get more of those tickets??? Can you PM me your screenname so I can look into this? Page 1 of 59 Use the arrow to the right to read the next 58 page(s).